How do we use interactive technologies to maximise their impact? How can the nature of school-based learning incorporate these? Why is the visual learning that these technologies can support so important? Nearly twenty years ago Maddux (1991) classified educational computer applications as either Type I or Type 2. Type I applications simply reinforce existing teacher-learner paradigms, whereas Type 2 applications of ICT (or EdTech.) transform teaching and learning. 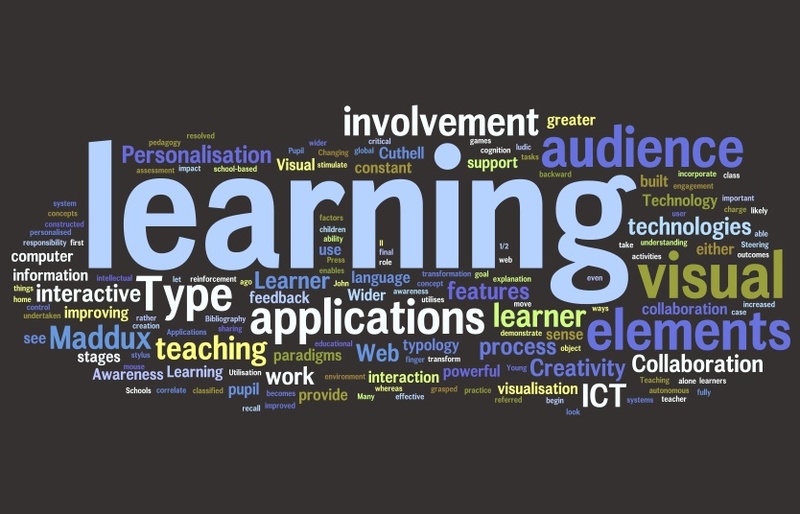 Type II applications stimulate active intellectual involvement, place the learner rather than the developer in charge of the learning environment, provide the learner with control over the interaction between the user and the machine, and have as their goal the accomplishment of more creative tasks. Many teachers now think of ICT applications in terms of Web 2.0 or even Web 3.0, although whether the concept of the semantic web is one that had been fully grasped, let alone implemented, is still to be resolved. The Web 2.0 affordances, on the other hand – information sharing, collaboration, interaction and the creation of personalised content – are at the heart of what Maddux referred to as Type 2 applications. Three powerful elements of ICT provide drivers for visual learning. The first is the quality of ostensiveness built into the system: Young children correlate language with concepts by the act of pointing at things. This reinforces the learning. ICT utilises this through the use of the mouse, or, on interactive whiteboards, with the stylus or the finger. Visualization, and the ability to move backward and forward through the different stages of a process or a learning object, enables learners to recall the stages of learning. The final, powerful, reinforcement is provided by the ludic elements built into systems: through games, competitive elements, and constant feedback, learning becomes fun. With collaboration and constant feedback the learner is able to to take greater responsibility for improving her or his work by refining and improving at regular intervals. Learner involvement; Creativity; Personalisation; Collaboration; An awareness of audience and A wider audience than that of the teacher – the class; home; a global audience. When we look at the ways in which visual learning is to be used we can begin to determine how effective it is likely to be. If work with young people in the classroom combines interactive visual learning technologies with most of these features, then we should see a change in learning and pupil engagement. For these are the transformational elements. Visual learning and the process of visualisation play a critical role in cognition. Pupil understanding of the What and Why of the work they have undertaken is reinforced by visualisation, and through language, in the explanation of the learning process. Maddux, C. (1991, October). Integration versus computer labs: An either/ or proposition? Educational Technology, 31 (pp. 36-43).